A beautiful stately property provides a spectacular home for a 1,350 sq. 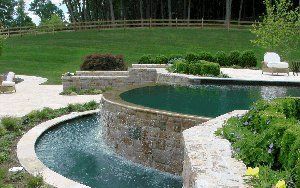 ft. vanishing edge pool with isolated spa. 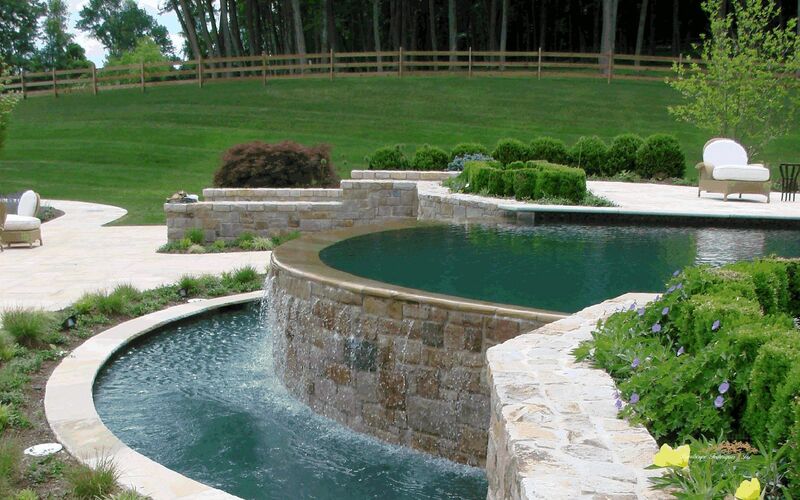 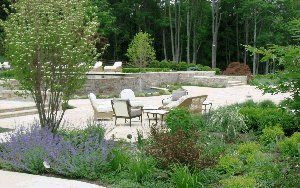 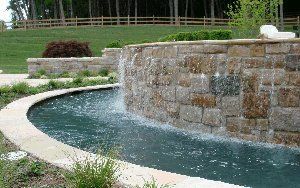 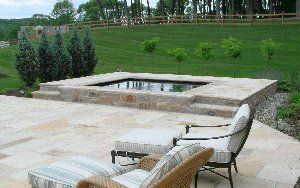 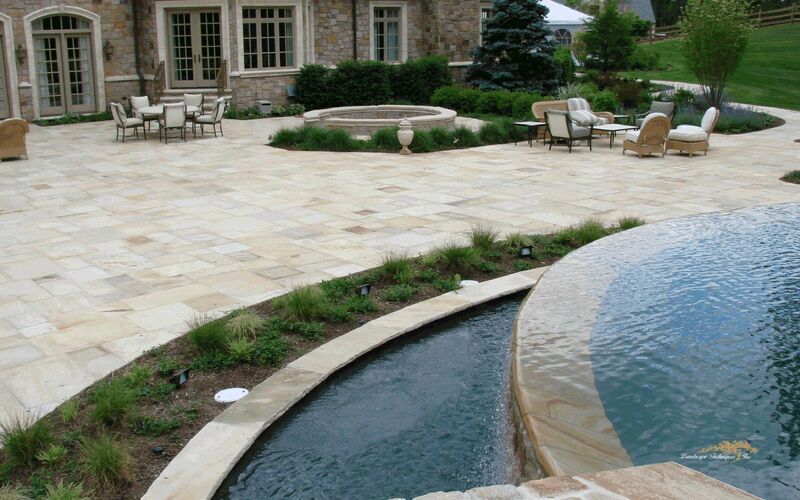 Pool coping and patio was constructed with light beige sandstone. 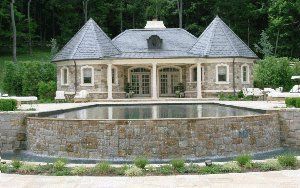 Vanish edge is a bull nosed Tennessee crab orchard. 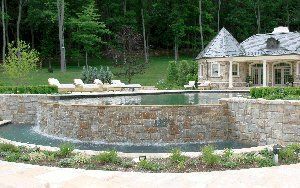 Pool details include glass tile and pebble sheen interior finish.